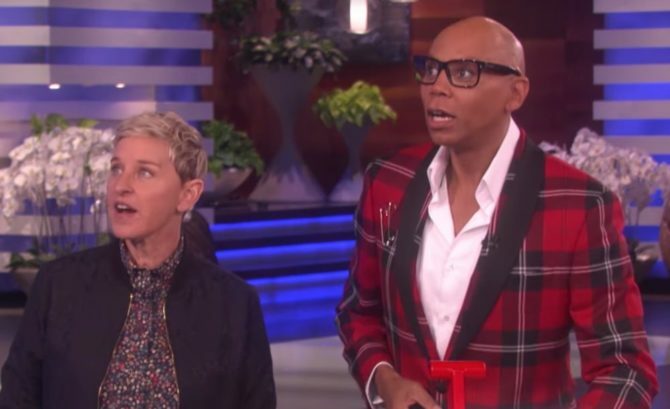 RuPaul and Ellen terrorize two women as their husbands lip sync and WHAT IS HAPPENING?! Drag Race isn’t just for drag queens anymore. 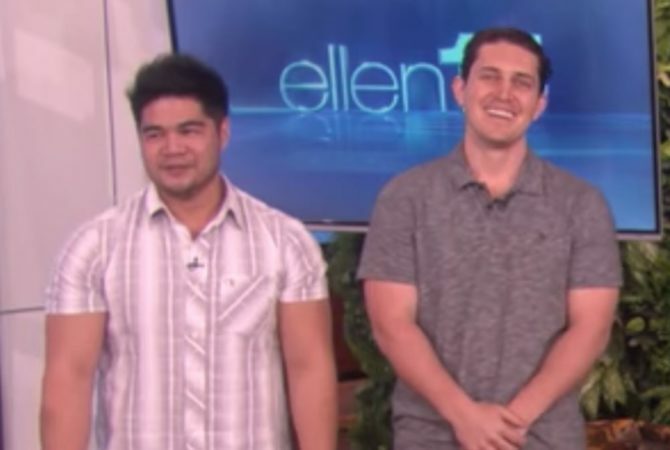 Inclusion is at such an all-time high that two straight guys direct from the Anchor Blue catalog — Bren and Christian — are getting the chance to lip sync for their lives in front of Ru himself. Actually, not their lives — their wives. We’re not exactly sure how this idea made it through to air, but we’re happy it did. For who among us can deny the inherent drama of watching women plummet towards the ground as their husbands gyrate to Britney? And they said chivalry was dead. Hysterical! Everyone played it to the hilt and bonus points–those guys are hot! I was skeptical, but it was worth watching. Was this the first rupaul appearance on ellen in the 15 years it’s been on? He BGB I think it was the first time. But he did a cameo appearance on an episode of her sitcom in 1996. Hilarious! I wish Judge Judy has been the one to decide.